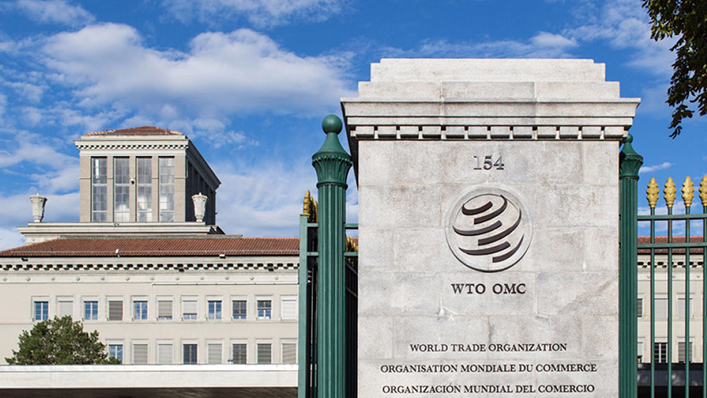 The World Trade Organization (WTO) stand at a crossroads. Formerly seen as a champion and protector of international trade, it has seen its role on the international stage as well as its ability to act being progressively undermined in the previous years. To name a few, It has failed to act in the face of unilateral threats and action from the Trump administration, as well as ease suspicion against some of Beijing’s trade policies implemented across the globe. Nowadays, the WTO is seen to stand idly, as political leaders across North America, Asia, and Europe embroil in trade disputes and impose retaliatory tariffs against each other, actions which to an extent go against the very essence of the WTO’s existence. Furthermore, In light of blocked nominations to its appellate body, the WTO is currently at risk of becoming another impotent and ultimately failed institution of international cooperation, such as the League of Nations, the former headquarters of which it currently occupies. With the demise of the WTO, the current global system of free trade is facing the risk of collapse. This calls for action - a reform of the WTO is overdue, to restore it to its role as a guardian of international trade. Administrations in Washington, Brussels and Tokyo have put forward proposals, and preliminary agreements have been reached between the EU and China. However, reaching a global agreement among all 164 WTO members will prove a steep challenge. Talks have previously stalled due to demands of developing countries for more protection, as well as support for free trade withers across parts of the world, America First and Brexit being notable examples. Delegates will have to come together and propose a way to reform the WTO that would be capable of guarding the rules of international trade in a way that works for everybody. Only a WTO that is trusted by all of its members will be able to save our system of international trade from demise. The Study Guide is now online. For preparation in general, please take a look here!